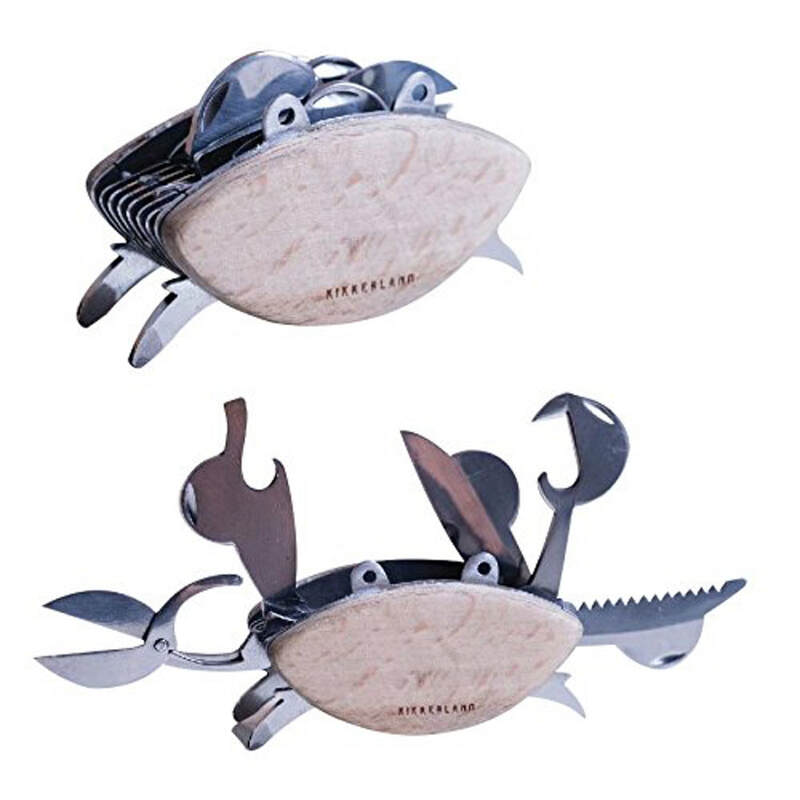 This Crab shaped multi-tool is designed by Scratches Design and comes with six fold out tools, namely scissors, a bottle opener, a 3/16 flat head screwdriver, a can opener, a mini knife, and a rope saw, so it should serve as a function multi-tool for light, everyday tasks. At the beach or on the go, this crab just wants to lend a helping claw. Grip his sturdy beechwood shell to utilize any one of his helpful stainless steel appendages. Since you'll likely want to show this off in your desk for amusement, it comes with four fold-out legs that will allow the crab to stand upright on your desk, with two beady eyeholes allowing you to insert it on a keyring or a thin rope.